"Use often!" ... Trump tweets this morning: "The Syrian raid was so perfectly carried out, with such precision, that the only way the Fake News Media could demean was by my use of the term 'Mission Accomplished.' 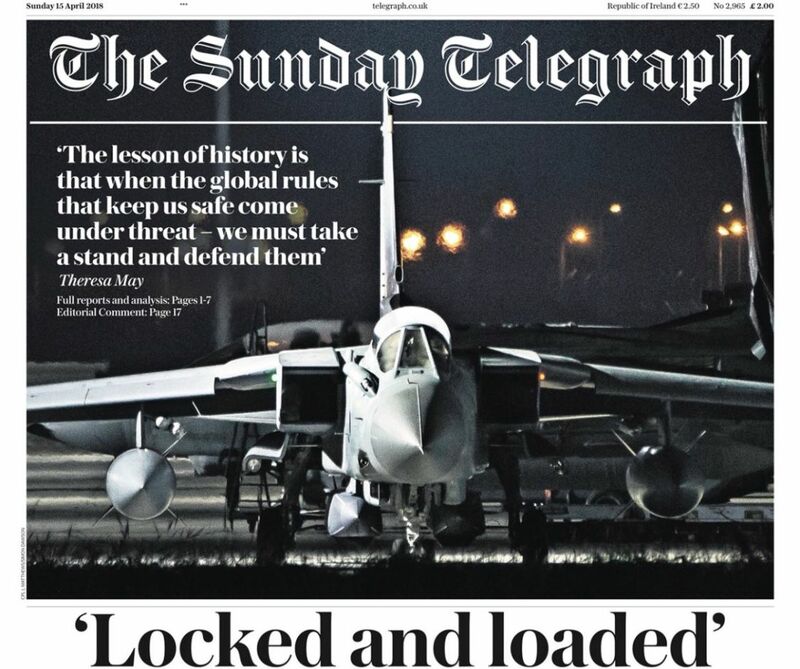 I knew they would seize on this but felt it is such a great Military term, it should be brought back. Use often!" 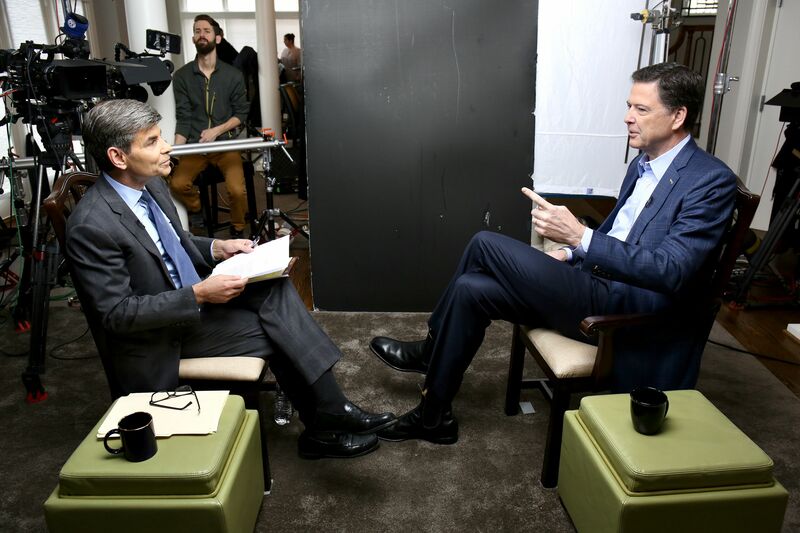 "Comey cops to petty misdeeds ... But when the stakes rise, self-examination diminishes. 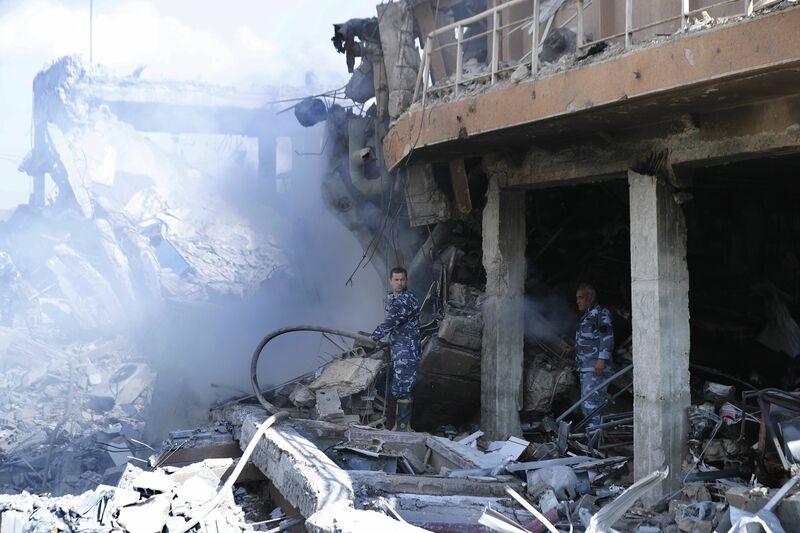 "What Trump got right: upheld the international norm against [chemical weapon] use, built international support for and participation in the strikes, sought to minimize collateral damage — Syrian, Russian, Iranian." 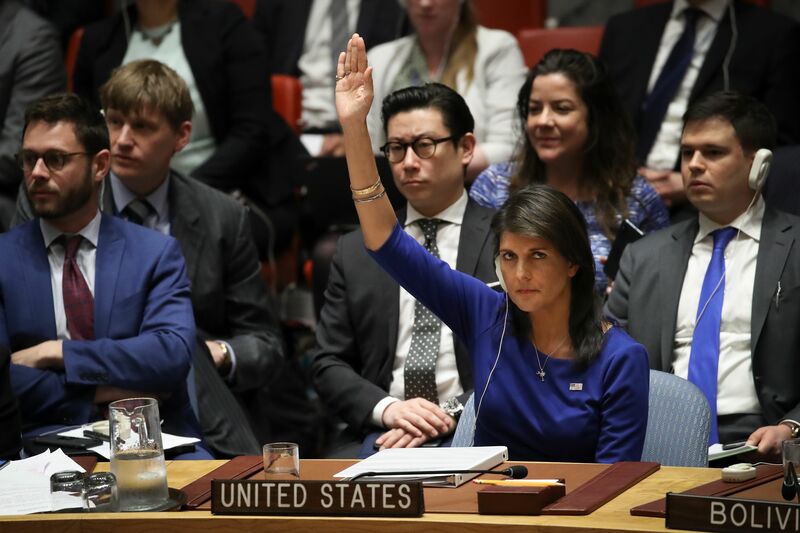 "What Trump got wrong: continuing to use taunting, name-calling tweets as his primary form of (un)presidential communication; failing to seriously consult Congress before deciding to launch the strikes; after more than a year in office, still no coherent Syria strategy." Shot ... Trump on Twitter yesterday: "Mission Accomplished!" Chaser ... 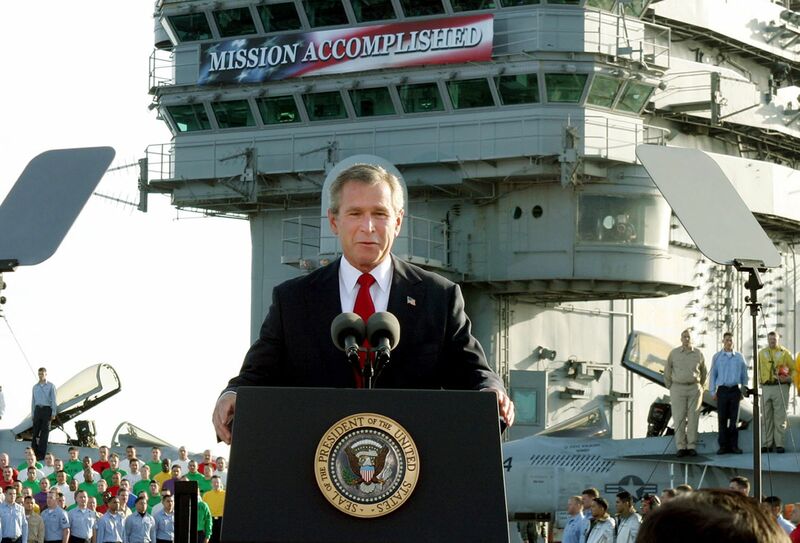 Phrase haunted Bush: "Back in 2003, a flight suit-clad President George W. Bush stood on an aircraft carrier under a giant 'Mission Accomplished' banner and declared that 'major combat operations in Iraq have ended' — just six weeks after the invasion. But the war dragged on for many years after that." 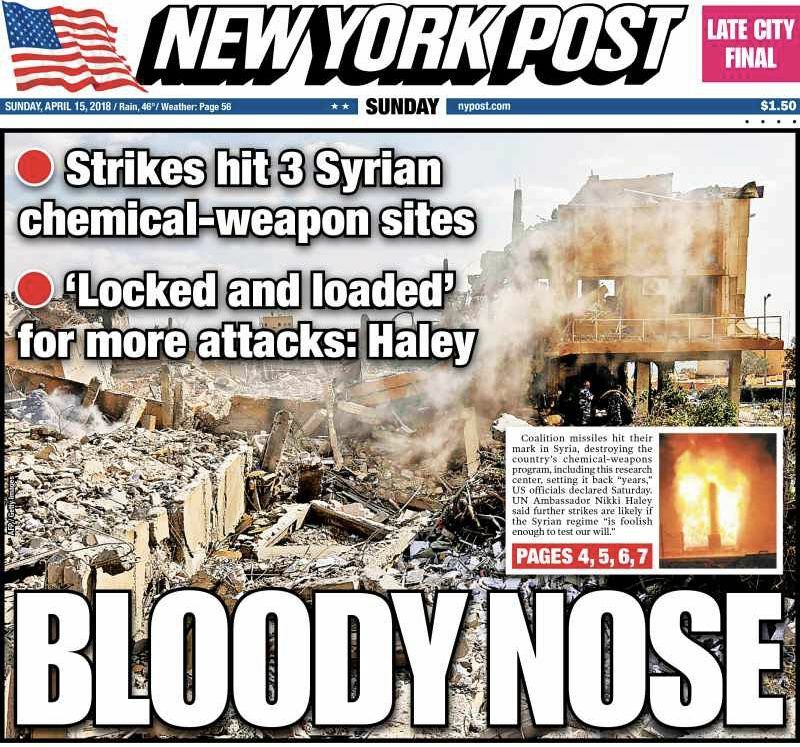 At the time, 139 Americans had died. Eventually, more than 4,400 gave their lives. Pentagon spokeswoman Dana White said at a briefing yesterday that there had been a "2,000% increase in Russian trolls in the last 24 hours," as part of a disinformation campaign following the strike against Syria. Gizmodo calls the statistic "bizarre," and notes that the Pentagon didn't say how it quantified the trolls. The bottom line, from Axios' Haley Britzky: The problem of Russian actors generating division and conflict among Americans isn't going away. "The video, which was posted by Philadelphia-based author Melissa DePino, ... shows at least six Philadelphia police officers taking the two men into custody without resistance. By 5 p.m. Saturday, the video had gathered nearly 4.3 million views." "[T]he two men can be seen being escorted from a table at the cafe in handcuffs while a white man, who has been identified as Philadelphia real estate investor Andrew Yaffe, asks why officers were called and attempts to explain to police that the two men were waiting for him." The police commissioner "said in a video posted to Facebook on Saturday afternoon that police responded ... to a 911 call reporting a disturbance. The men had refused to leave the cafe after asking to use the restroom without placing an order, which violated Starbucks policy, staff members told police." Starbucks statement: “We apologize to the two individuals and our customers and are disappointed this led to an arrest ... We take these matters seriously and clearly have more work to do when it comes to how we handle incidents in our stores." Sir Martin Sorrell, 73, abruptly resigned as CEO of WPP, the world’s largest advertising group, ahead of the findings of an investigation into alleged personal misconduct. Sorrell statement: “Obviously I am sad to leave WPP after 33 years. It has been a passion, focus and source of energy for so long. However, I believe it is in the best interests of the business if I step down now. Why he matters, from Axios' Sara Fischer: Sorrell is one of the most influential people in media, advertising and marketing. But he recently faced a board investigation into his behavior (with no material conclusions) and has faced headwinds trying to navigate his company through a grim advertising marketplace. "End of an era. Guy was a living legend. But he built the company, owned the company and ran it like it was his own for years, even though it was publicly traded." "Paid himself more money than any CEO in the U.K. for years by 3x and always got hell for doing so, because executive remuneration is highly controversial" in London. "Finally was forced to get a real board of directors and they clearly had enough of him running the place like he still owned it outright." "The Gary Player of advertising. Nobody has racked up more air miles. Traveled all over the world all the time." "Was always where the action was, and yet would return an email in minutes no matter where he was in the world and what time of day." "Not to everyone’s taste, but I loved being with him because he was so engaged in the global conversation at the highest levels and always had interesting insights. Suspect that won’t change. ... I think he will have another act." "Never Solved, a College Dorm Fire Has Become One Man’s Obsession: The 1967 blaze at Cornell University killed 9, including members of a fast-track Ph.D. program. No one was ever charged, but an amateur investigator thinks he knows who set it," by N. R. Kleinfield, a former long-time member of The Times’s Metro staff, is a freelance writer and the author of eight books." "A thunderous event once joined them, but they had drifted apart to follow adult lives. ... They had always carried the fire with them. Many of them ... had been seized by survivor’s guilt. Flashbacks and nightmares haunted them, as did what would later be identified as post-traumatic stress disorder." 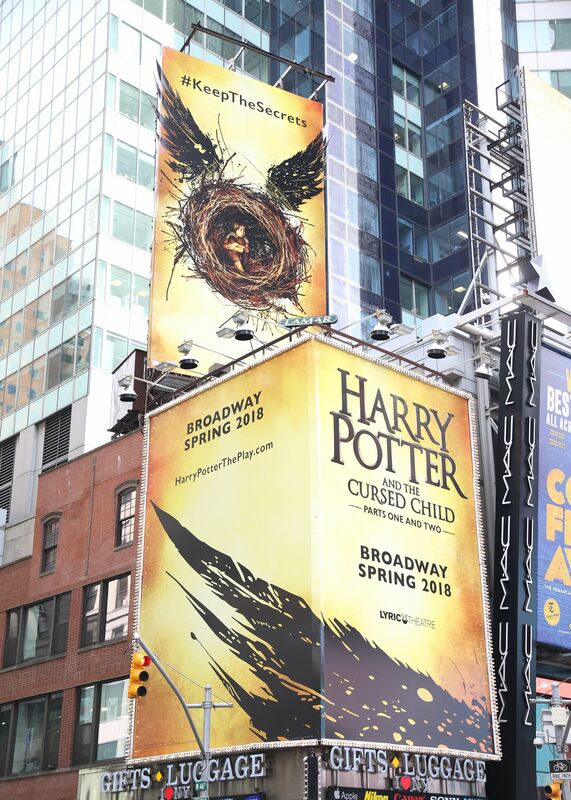 Why it matters: "It’s a huge bet in a flop-prone industry, but also a seemingly safe one, predicated on the expectation that 'Cursed Child' will become a big hit on Broadway, a long-running production that can spin off profits for years." "Even in previews, as the cast finds its footing and the creative team makes adjustments, the show is setting box-office records." "Potter fans have been filling up the Lyric, one of Broadway’s largest theaters, and the $2.1 million the play took in during the first week of April was more than any play had previously grossed in a single week." ☕️ Thanks for reading. See you all day on Axios.com. If you don't get Sneak Peek, sign up now: Jonathan Swan has a juicy lead item, as always.